The need for cost effective, high performance components is greater than ever. 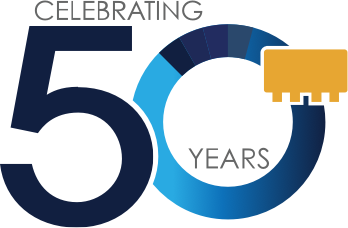 Mini-Circuits is meeting that demand with the introduction of 3 families of low cost precision fixed attenuators. These coaxial attenuators display very tight tolerances in the broad DC to 18GHz band, and each family contains 15 models with nominal attenuation from 1 to 10dB in 1dB steps, plus 12, 15, 20, 30, and 40dB values. 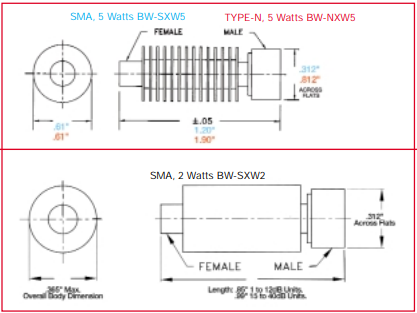 At 25°C ambient, SMA family BW-SXW5 and type-N family BW-NXW5 have the ability to handle 5 watts average power (derate linearly to 2W at 100°C), while the SMA family BW-SXW2 are made for 2 watt circuits (derate linearly to 0.5W at 100°C). To obtain model number, substitute X with attenuation value. Outline view and dimensions are illustrated in Figure 1. Peak power for both 5 and 2 watt units is 125 watts maximum. The 5 and 2 watt ratings are very helpful in handling the needs of today's communication requirements. At 25°C, accuracy is ±0.40dB for the 1 through 6dB models, ±0.60dB for 7 to 20dB units, and ±0.85dB for the 30 and 40dB attenuators. Accuracy specifications include power and frequency variations up to 12.4GHz. Above 12.4GHz, add 0.5dB (typ) to accuracy. By maintaining low variation of attenuation with power and frequency, time consuming recalibrations in precision measurement set-ups are very minimal or nil. 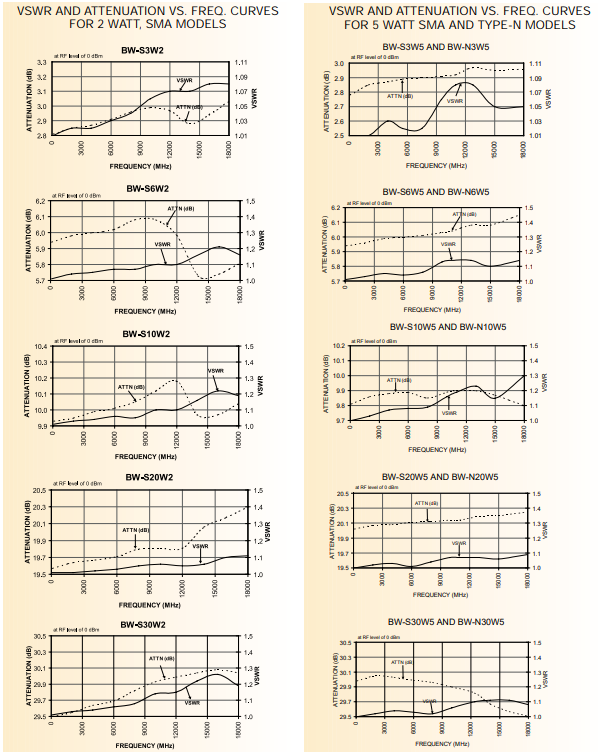 VSWR is excellent at 1.15:1 typical, which means these precision attenuators can be calibrated out very easily so as not to affect the device under test (VSWR and attenuation vs. frequency curves for 3, 6, 10, 20, and 30dB attenuation shown in Figure 2). Operating temperature range is -55°C to +100°C, as is storage temperature.